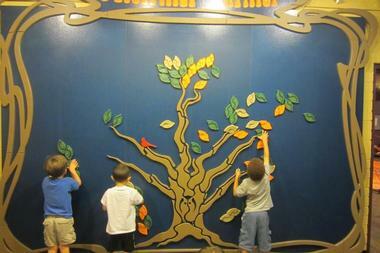 The Children’s Museum Tucson, AZ, is designed for children of all ages to discover, explore and learn through play. Located in a historic building with a spacious courtyard in the heart of downtown Tucson, Arizona, the Children’s Museum was established to provide interactive, fun-filled, play-based learning experiences to inspire children to reach their full potential. The Museum features 14 galleries of immersive, hands-on exhibits, including Art Studio, Investigation Station, Electri-City, Bodyology, Ocean Discovery Center, and more. The Children’s Museum Tucson also has an outdoor courtyard area where the learning experience continues with exhibits such as Imagination Blocks, the Playhouse, a sand pit, fountain and scented garden. The Museum features 14 galleries of immersive, hands-on exhibits that cater for children of all ages and their families. 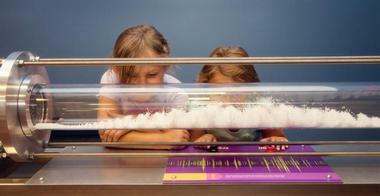 Exhibits range from the Gravity Room, Build It!, Electri-City and Investigation Station to Art Studio, Ocean Discovery Center, Wee World, and more. The Gravity Room features an array of exciting displays and components that defy gravity such as a gravity maze, Marble Madness, Caterpillar Thriller, Ball Wall, and Spin the Recycle Bicycle Wheel. The Mini Nano Exhibit teaches children about things on the nanoscale and how nanoscience is used in everyday life, while Techtopia offers a fun-filled digital trip through bugs, shadow mosaics, and reading. Wee World is designed for children under the age of four and features a playhouse with a slide, a rock climbing wall, a carrot car and more, while Imaginarium is an innovative, creative space where children can allow their inner artists to emerge and create their own masterpieces. 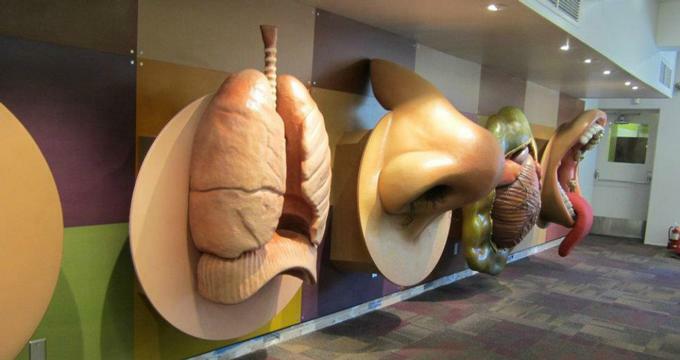 The Bodyology exhibit explores health and fitness with moving oversized body parts that make sounds such as a large eye lens, a yodeling mouth, a snorting nose and a pair of breathing lungs. The exhibit also features a farmer’s market, a treehouse, orchard, and vegetable garden, where kids can pick fruit and deliver it from the farm to the grocery store. The Pet Vet exhibit introduces children to the field of veterinary science and allows children to become animal doctors by donning lab coats, checking vital signs and visiting the grooming station. Electri-City explores the component of electricity, how to conserve resources and prevent a power outage. The Whistle Stop Gallery offers kids the opportunity to get behind the wheel of a train and act as train engineers with an onboard camera and imagine traversing which makes for a real-life train driving experience. The Public Safety exhibit teaches children all about public safety where they can climb don a fire helmet and climb into a fire truck, learn about fire safety, and explore a new ambulance. Children’s Museum Tucson offers an array of age-appropriate educational programs that inspire discovery, creativity, and learning. Programs include guided learning activities and demonstrations, and exploration of the Museum for groups of ten or more children. Pre-K & K programs include the Art of Color, It Makes Sense!, Let's Get Fit!, Explore the "M" in STEM, and Electricity Investigators - Power Up!. First to Third Grade Programs include Grossology, Up In The Air, and Math Mosaics, while First to Fourth Grade Programs includes Electricity Investigators - Power Up!. Children’s Museum Tucson is located at 200 South 6th Avenue, in Tucson and is open Tuesday through Friday from 9:00 am to 5:00 pm and Saturday and Sunday from 10:00 am to 5:00 pm. The Museum has a vending machine that sells healthy drinks and snacks and has several picnic tables dotted around the Courtyard to enjoy an outdoor lunch. 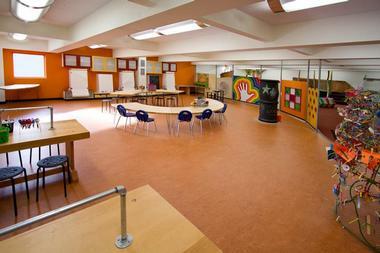 The Museum can be rented for birthday parties and special occasions.